oral transmission from the local population. The impact of climate, fire history, herbivory, termitaria and land-use which may have generated the observed patterns of vegetation change have been analysed. If we can identify and understand causes of past vegetation changes, we will be better able to anticipate rate, magnitude, and direction of future vegetation shifts. This will help in designing management strategies to ensure sustained productivity and minimise the likelihood of undesirable, human-induced shifts in vegetation structure of these tropical dry ecosystems. 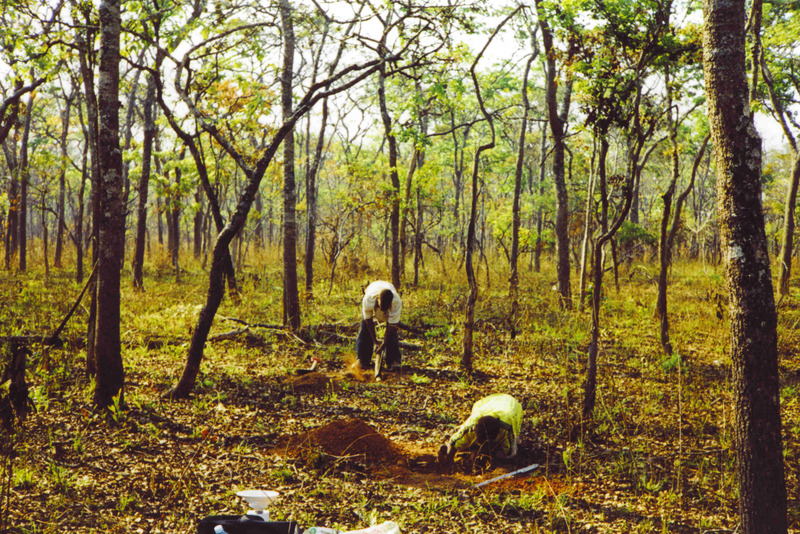 Preliminary studies, kindly supported by KFPE (Swiss Commission for Research Partnerships with Developing Countries) and ESAPP (Eastern and Southern Africa Partnership Programme pdf), showed that soils under forest exhibit a very strong increase in 13C with soil depth (up to 6%), which is two to three times higher than the natural 13C enrichment in typical forest soils. We have interpreted this as a clear indication that these sites which are currently under forest had a much higher abundance of C4-grasses in the past. On the other hand, soil organic matter at savanna sites has remarkably stable isotopic signatures, which indicates the persistence of savannas over several centuries (millennia). The Miombo woodland boundary is currently expanding at the expense of the savanna at several locations in northwestern and eastern-central Tanzania according to the former C4 (savanna) signature of the subsoil. None of the samples has been dated by radio carbon so far. In a new Project phase, land-use changes and vegetation shifts at different geomorphic locations along transects through Miombo woodlands and savanna landscapes in Kagera, Shinyanga, Morogoro and Tanga Region have been assessed in more detail. Large scale vegetation changes in the Miombo woodlands (including the adjacent savannas) have been studied along decreasing rainfall gradients considering the geomorphic location. On a smaller scale, vegetation sites of the savanna landscape have been analysed along transects through small dry evergreen forest formations extending into open savanna on either side. 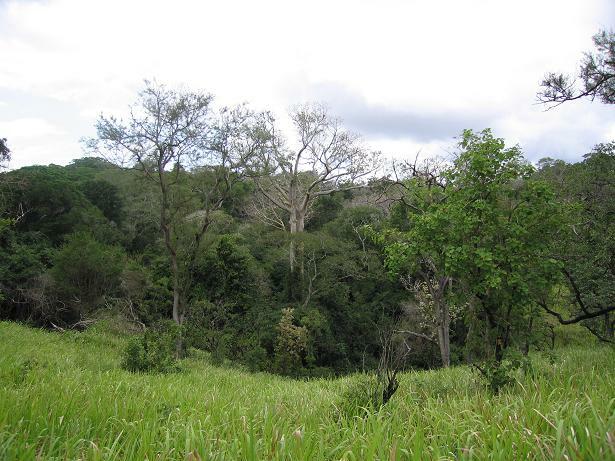 The results from the Kagera savann landscape suggest that forest patches are very stable vegetation formations which have persisted for millennia. During the last millennium, they have been expanding very slowly into the surrounding savanna at a rate of less than 15 m per century. The research partnership has contributed to strengthen the research capacity of both parties. The complementary knowledge of both partners was very beneficial for the implementation of the Project. For more information please contact Dr. P.K.T. Munishi from SUA (pmunishi2001@yahoo.com) or Dr. U. Bloesch, consultant from WSL (bloesch@swissonline.ch). The Project ran for two years (1/5/06 - 31/12/07) and has been kindly supported by CEPF (Critical Ecosytem Partnership Fund) and Syngenta Fondation for Sustainable Agriculture. An effective community participation has been searched for from the very beginning of the Project with an active participation of the Village Environmental Committees. 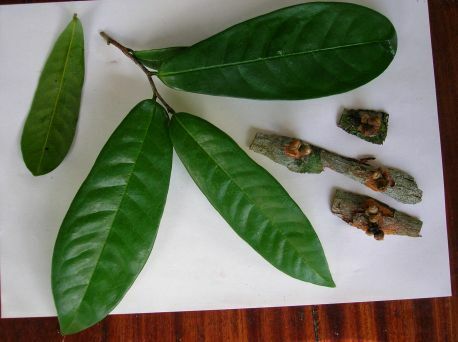 The botanical survey has been realised by Adansonia-Consulting in collaboration with the staff of the herbarium of the Botany Department of the University of Dar es Salaam. The vegetation surveys in Tanzania allowed to identify two new Annonaceae species: Xylopia sp. nov., a riverine tree growing in southern Tanzania (T8) and Uvariodendron sp. nov., an understorey shrub in dry evergreen coastal forests of Tanzania (T3). Adansonia-Consulting has a vast herbarium of vascular plants from Africa. 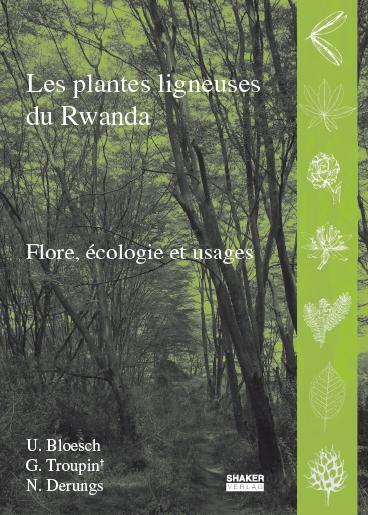 Long-term studies about the botany, ecology and usages of all woody plants of Rwanda, including trees, shrubs and lianas, resulted in the publication, entitled Les plantes ligneuses du Rwanda. Flore, écologie et usages (Bloesch et al. 2009). In total, 888 species, including subspecies and varieties, belonging to 98 families and 377 genera are described. Over 540 woody plants are illustrated what significantly increases the practical use of the book. The identification of each species is facilitated by botanical identification keys. A coloured vegetation map of the country shows the distribution range of all species. All technical terms are defined in exhaustive glossaries. This book not only addresses actors involved in rural development and/or conservation looking for detailed information about the botany, ecology and use of woody plants but also any person interested in the woody flora of Rwanda. The authors hope that this reference work will contribute to a participatory and sustainable management of Rwanda's rich forest resources. The publication was kindly supported by Intercooperation, SDC (Swiss Agency for Development and Cooperation), Mr. Jean-Marie Samyn, Mrs. Daniela Renner and Mr. Christoph Oertle. Klötzli, F. & Bloesch, U. et al. (1999) Manifest: Welche Forschung braucht der Naturschutz heute? Vierteljahrsschrift der Naturforschenden Gesellschaft in Zürich, 144(3): 89-100. Bloesch, U., Bosshard, A., Schachenmann, P., Rabetaliana Schachenmann, H. & Klötzli, F. (2002) Biodiversity of the subalpine forest/grassland ecotone of the Andringitra Massif, Madagascar. In: Körner, Ch. & Spehn, E. M. (eds.) Mountain biodiversity: a global assessment, pp. 165-175. Parthenon Publishing, London. Bloesch, U. (2002) The dynamics of thicket clumps in the Kagera savanna landscape, East Africa. PhD thesis No 14386, Swiss Federal Institute of Technology Zurich (ETH). Shaker, Aachen. Bloesch, U.& Klötzli, F. (2005) Zur Waldfähigkeit der Saadani - Küstensavannen in Tansania. Berichte der Reinhold-Tüxen-Gesellschaft, 17: 55-69.